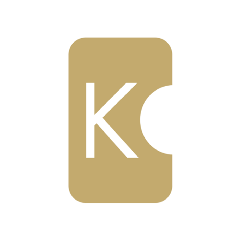 The KaratGold Coin - KBC - is a Blockchain-based cryptocurrency issued on February 2018 linked to physically deposited gold in the form of the so-called CashGold, a true gold standard. A certain number of KBCs can be exchanged for the corresponding amount of CashGold at any time. The gold-covered KBC but back to a serious shortcoming to share the previous crypto currencies such as Bitcoin, Etherium, etc. with the traditional Fiat currencies à la Euro, US dollars and yen: the lack of coverage by a real, indestructible equivalent. The concept of giving real gold coverage to a new cryptocurrency right from the start and thus providing a man-made unshakable resistance to crises is a real innovation in this field. At the same time, as a cryptocurrency, KBC offers advantages that Fiat money can´t afford, such as the option of anonymous transfers directly from user to user (peer to peer) without bank participation. Thus, the KBC has been developed to serve as a generally accepted electronic means of payment for all those who regard gold as a traditional, true, secure and value-stable medium. On the other hand, customers on the one hand and dealers and service providers on the other rely on the value of gold. In former times, gold was a direct means of payment, especially in the form of gold coins. Graduated from Hang Seng School of Management at Bachelor of Business Administration (B.B.A). Business, Management and Marketing. Chief Operating Officer and German Economic Counci. Communication Manager at Karatbars International GmbH. Harald Seiz was born in 1963 in Calw near Stuttgart, Germany and has been successfully working as a financial consultant since 1982. In 2011 he founded the Karatbars International GmbH in Stuttgart, of which he is the managing director. Since then he has consistently and successfully internationalized the business. In 2016, he was awarded the Senatorial Degree by the Federal. Association for Economic Development and Foreign Trade (BWA). He is also the author of the successful book 'The Future of Money', published in 2017 and available everywhere.